When asked, “What has playing orchestral music meant to me?” I am reminded of my role in the Homer Council of the Arts Shakespeare Play: Twelfth Night. In the play, Duke Orsino says, “ If music be the food of love, play on…” One interpretation of this line is that he was hoping that excess music might relieve him from his obsession with love. Playing in the orchestra and talking lessons from Lisa Shallock was relief from my obsession with learning. I have a very inquisitive mind and music soothes my thoughts. It was a time in my week where I gained perspective on the world. I could let my mind relax and I could take on a new venue of learning. I liked the relaxing breath that I could take when I played my cello with the accompaniment of others. It was a precious time in my week. I learned to appreciate string instruments and the beauty of a string orchestra. I realized as soon as I picked up my cello that it would be my friend and companion for life. It was with pleasure that I played it in the symphony since fourth grade. I appreciate the friendships that came from playing in the orchestra and the many mentors who have encouraged me. I am expanding my cello repertoire outside of orchestral music but I know that the Homer Youth Symphony Orchestra has given me a gift for life. 1) Orchestral music for me was a way to experience new music that I had not been exposed to. The music I have learned and played has been a lot of fun, and really opened me up in terms of musical knowledge. 2) I would tell a beginning musician to never give up, and to always keep practicing. But most importantly, I would remind them to have fun, and enjoy the music. 3) After I graduate in high school, I plan to play with the Kenai Peninsula Orchestra over the summer. During the winters, I will most likely be in Fairbanks, going to college, and I plan to minor in music. Hopefully there will be some musical groups that I can join while I am living up there. Past that, I have no idea what will happen. My greatest piece of advice for a beginning musician in orchestra would be simply to keep it up. It would be easy to walk away from orchestra, and leave the weekly rehearsals out of one’s schedule. It would be easy to get overwhelmed by the skill of other players and feel inadequate. It would be easy to walk away from the stress of performing. But to quit for any of these reasons would be a mistake. I can say with certainty that providing for me to be part of HYSOC was one of the greatest gifts my parents ever gave me. Being three years out of the program, it is easy for me to look back and see what I gained in this community. It helped transform a little, shy, unexperienced violin player into a performer, confident of her skills, ready to audition for scholarships and tour internationally with her new orchestra. It would still be easy to leave the weekly rehearsals out of my schedule, it would still be easy to get overwhelmed by the skill of other players and feel inadequate, it would still be easy to walk away from the stress of performing. But I will not, and it is largely because in HYSOC I learned the value of sticking it through these things. I gained confidence, learned to cherish those more skillful than I, and fell in love with the music community. In conclusion, I could tell a young musician many things. To be dedicated to practice, to respect their musical peers, to listen to what their leaders say, etc. However, by staying with HYSOC, all of these lessons will be learned naturally, and most likely, these students already know the truth of those things. Unfortunately, on the other hand, it is all too likely that young musicians will sometimes feel discouraged, inadequate or just too busy, and if I could, I would like to tell them that orchestra may be one of the greatest helps to any of their hurts, and to the very feelings that may cause them to consider quitting. Orchestra is worth any inconvenience, and in my experience, always overcomes it. Since I have already begun the next step on my musical journey, I will simply explain what it is I do with music now. In coming to NNU, I was awarded a small violin music scholarship which requires me to play in the school’s largest choir and orchestra. I meet with this group for four hours a week, and have played both in the first and second violin section. I usually have at least one concert a month, and go on two tours during the school year. My freshman year, this included tours in Washington, Oregon, Colorado, Wyoming and Utah. This, my sophomore year, we have toured in Washington, and in May we will be traveling to South Korea for a two week tour of the country. In addition to Orchestra, I have played in the orchestra for musicals, and perform in a number of classical recitals every year. Since music is such a huge part of my life now, I sincerely hope to get involved in some kind of community orchestra after college. Practices start up again in the January! 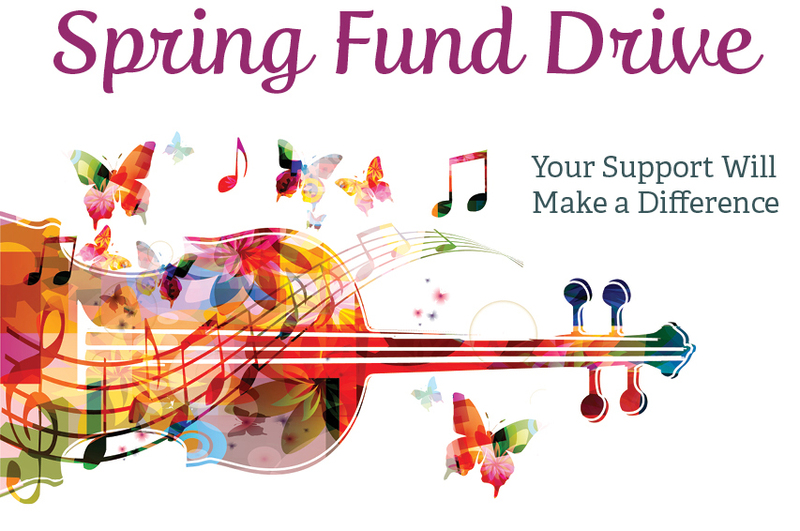 Join us in our quest to provide continuing quality classical music education to all Homer area school age students by participating in our Spring Fund Drive. Please attend this upcoming fundraiser concert with our very own Daniel Perry (violin) in collaboration with Mannfried Funk (cello) and Susan Wingrove Reed (pianist for the Anchorage Symphony Orchestra). Proceeds support youth string programs in our community.